Nanosized particles with a radius of 16 ± 2 nm based on complexes and conjugates of highly active superoxide dismutase and catalase with polyelectrolyte block copolymer poly(ethyleneimine)-poly(ethylene glycol) and similar bienzyme systems were obtained. Mass spectrometry was used to confirm the crosslinking of enzyme and block copolymer molecules in the nanoparticles that were formed. A significant increase of SOD and catalase stability (up to four times) towards proteolytic degradation under chymotrypsin and trypsin action for 3 h at 37°C was revealed when enzyme-containing nanoparticles were used for experiments. Antioxidant enzymes-containing polyelectrolyte nanoparticles seem to be promising for BBB penetration and CNS drug delivery. Original Russian Text © S.V. Uglanova, M.V. Popov, V.S. Kurova, E.V. Batrakova, D. Manickam, A.V. Kabanov, N.L. 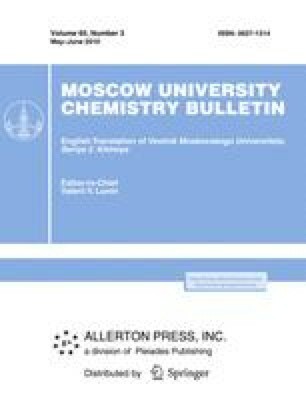 Klyachko, 2010, published in Vestnik Moskovskogo Universiteta. Khimiya, 2010, No. 3, pp. 227–234.